Stop crime as a super-powered Agent of justice in Crackdown 3's hyper-powered sandbox of mayhem and destruction. Explore the heights of a futuristic city, race through the streets in a transforming vehicle, and use your powerful abilities to stop a ruthless criminal empire. 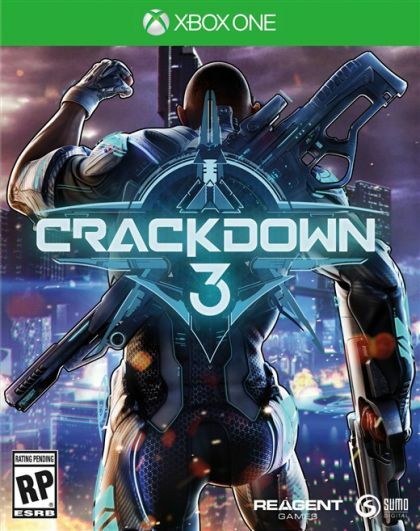 Developed by original creator Dave Jones, Crackdown 3 will deliver cooperative mayhem and an all-new multiplayer mode where destruction is your ultimate weapon against friends and rivals online powered by Microsoft Cloud. Whether you're playing the Campaign with friends or enjoying an entirely new competitive experience, you'll never look at an open-world game the same way again.